This is the second half of my visit to the theme parks at Disneyland Paris - if you missed my review on Disneyland Paris, you can find it here. We had a very short but filling afternoon at Walt Disney Studios Park, which is the Paris version of Hollywood Studios. This reminded me greatly of the original version of Hollywood Studios back when it was MGM. 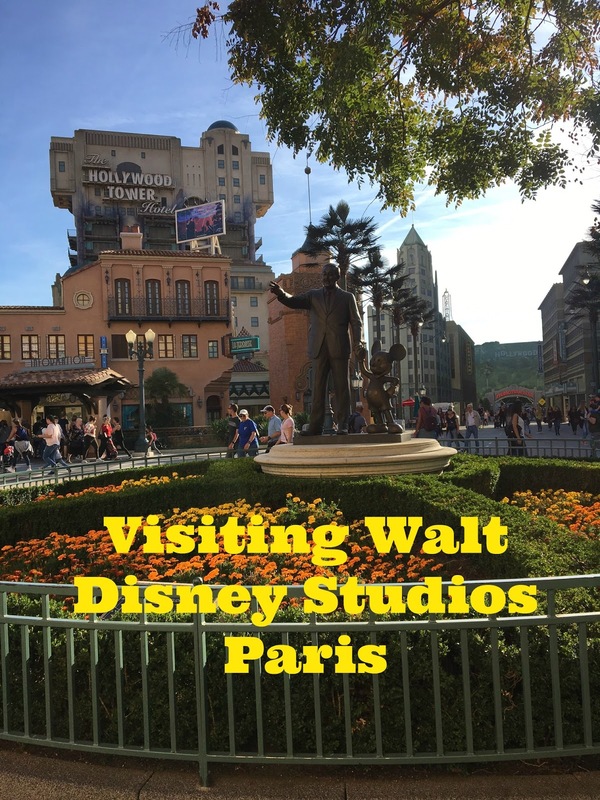 Walt Disney Studios Park is a working studio which appears small from the exterior but was vast in size behind the scenes which we got to run through at the Half Marathon. There is also a Behind the Scenes tour you can take! Our first ride was a Fastpass ride, Ratatouille the Adventure. You live life as a rat in Remy's world, while being on a chase through the kitchen. I will state, if you get motion sick, this may not be the best ride for you but it was a good prequel to our lunch at Bistrot Chez Remy which I will cover in a separate post. After we met up with our friends Corey and Glen for lunch, we headed off to experience a few attractions. We started off at Rock n Roller Coaster, which was the same set up as ours in Orlando but was missing the black light signs. It was very fast, with a lot of flips and turns - I lost my headband on the ride. While they showcased Aerosmith and Steven Tyler, there wasn't as much themed music and we heard multiple other bands. Interesting! Following Rock n Roller Coaster, we strong armed Glen to get on Twilight Zone Tower of Terror. I had to tell him 100 times that our 5 year old nephew begs to go on the ride over and over again. Still, being with two adults who have never experienced Twilight Zone was a riot. For the most part, this ride was identical to ours in Orlando. We said our goodbye's to Corey and Glen. We decided to visit Toy Story Land to ride RC Racer, Parachute Drop and Slinky Dog. Sadly, all the rides were over 45 minutes wait so I grabbed a few photos before we headed back to Disneyland. I received park hoppers from Disneyland Paris in exchange for an unbiased review. As always, all opinions are my own and I would strongly encourage a trip to Walt Disney Studios Park!